Leukoplakia is a gray or white patch that develops either inside the cheek, or on tongue or on the floor of the mouth. Leukoplakia develops as a reaction to chronic reaction of the mucous membrane of the mouth. Irritation from fillings, rough teeth, crowns or ill-fitting dentures etc. The main symptoms of leukoplakia is the gray or white patches. They may become thick, unevenly shaped and painful over time. A biopsy is suggested to diagnose leukoplakia. This condition may not require treatments other than removing the causes that create these patches. If it is not resolved by the method, the doctor may suggest medicines to apply on the patches or surgery to remove them. 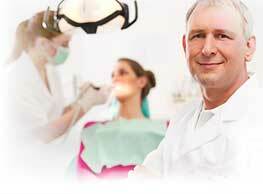 In the surgery, the dentist will remove the affected lesion through surgery.